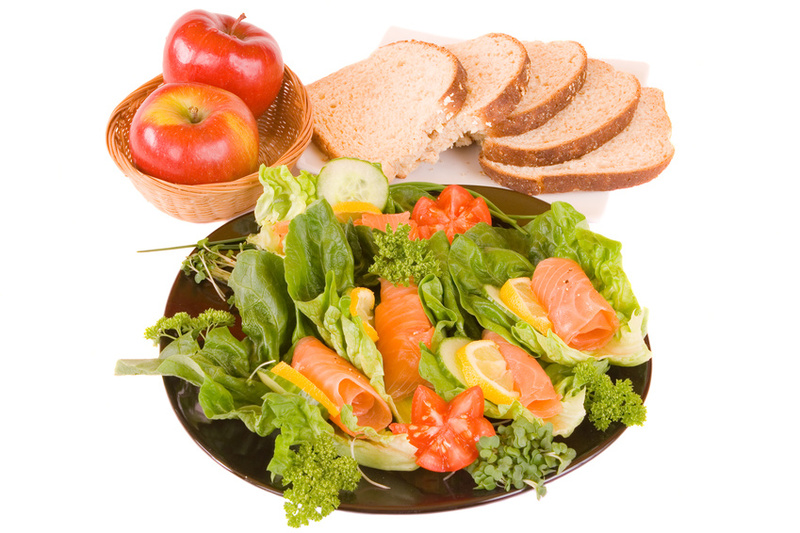 The balanced plate guide for healthy eating says to devote a quarter of the plate to a lean protein. It’s also recommended to pair carbohydrate-rich foods with protein to keep the amount of carbohydrate to a moderate portion thus assisting with blood sugar control. But what exactly is protein? If you said “meat”…you’re on the right track. Protein is a nutrient that is used to build muscle and repair tissue and also helps to provide the body with energy. Most of the protein in a typical American diet comes from animal sources such as beef, poultry and pork. Eggs, dairy products, fish and shellfish are also good sources of protein. Fish such as salmon, mackerel and tuna are good sources of the heart-healthy omega-3 fatty acids. Many other animal-based proteins, especially red meat, can be high in saturated fat and cholesterol, both of which can contribute to the development of heart disease. Meat and fish may be the most common sources of protein, but there are a number of good plant-based protein sources as well—handy to know if you’re reducing the amount of meat in your diet or just looking for ways to add some variety to your meal plan. Legumes such as chickpeas (garbanzo beans); soy (tofu, tempeh, edamame); lentils and beans, and nuts and seeds such as sunflower seeds; almonds; walnuts and pistachios are all good options. In addition to providing plenty of protein, many of these food choices are good sources of other important nutrients. Legumes, for example, are high in dietary fiber—a nutrient that promotes digestive health and increases the feeling of being “full” after a meal. Almonds are a great source of calcium and vitamin E, and walnuts are an excellent source of omega-3s. Nuts can be high in calories though, so be sure to watch your portion size to prevent unwanted weight gain. This goes for everything; be sure to read food labels and pay attention to serving size. Remember, the portion of protein that you are striving for is about the size of the palm of your hand and the same thickness.